Foot Locker Foot Locker Markdowns: Men's Jordan Lift Off $120, Women's adidas Originals Superstar $80, Boy's Nike Roshe One $55 + More Markdowns! 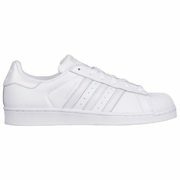 adidas Originals Superstar $80 + More! There are currently over 2500 marked down items available for men, women and kids -- prices are as marked on product pages and we've listed some stylish sale selections to help get you started.